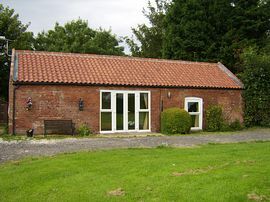 The Haven is a level single storey barn conversion completed in the summer of 2007 to the latest bulding regulation standards and designed to allow wheelchair access with wide doors and laminate flooring throughout. 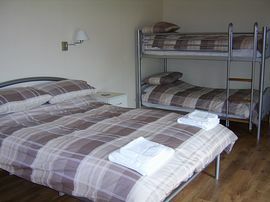 The spacious bedroom sleeps four with a double bed and adult size bunk beds. 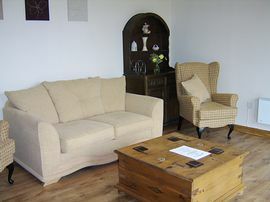 The comfortable lounge is equipped with a twin sofa bed plus two chairs. The lounge has a large feature window overlooking the front lawn. The well appointed kitchen opens from the lounge. 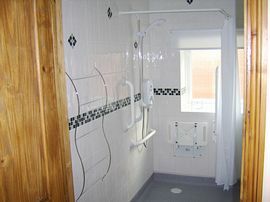 There is a fully tiled wet room with safety flooring and a shower seat plus grab rails and an electric shower specifically designed for those with disabilities. From Boston on the A52 through Wainfleet St Mary look out for right hand turn signposted "Havenhouse". In 3/4 mile over level crossing Havenhouse Farm is the next building on the right. 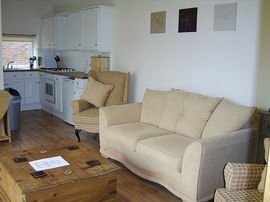 For short breaks £60.00 per night.